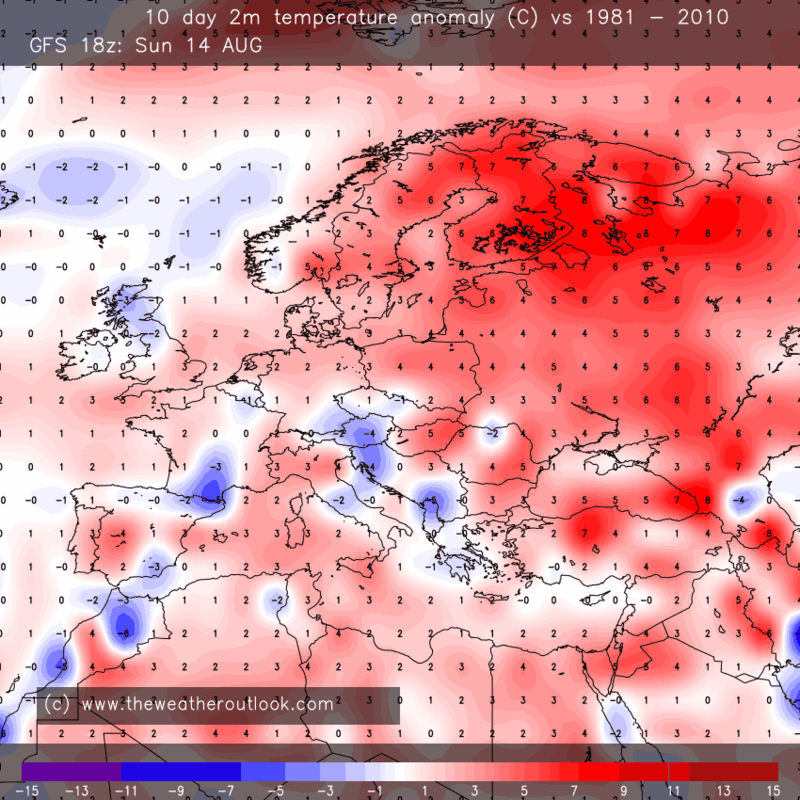 Forecast temperature anomalies in Celsius for the next 5 and 10 days. 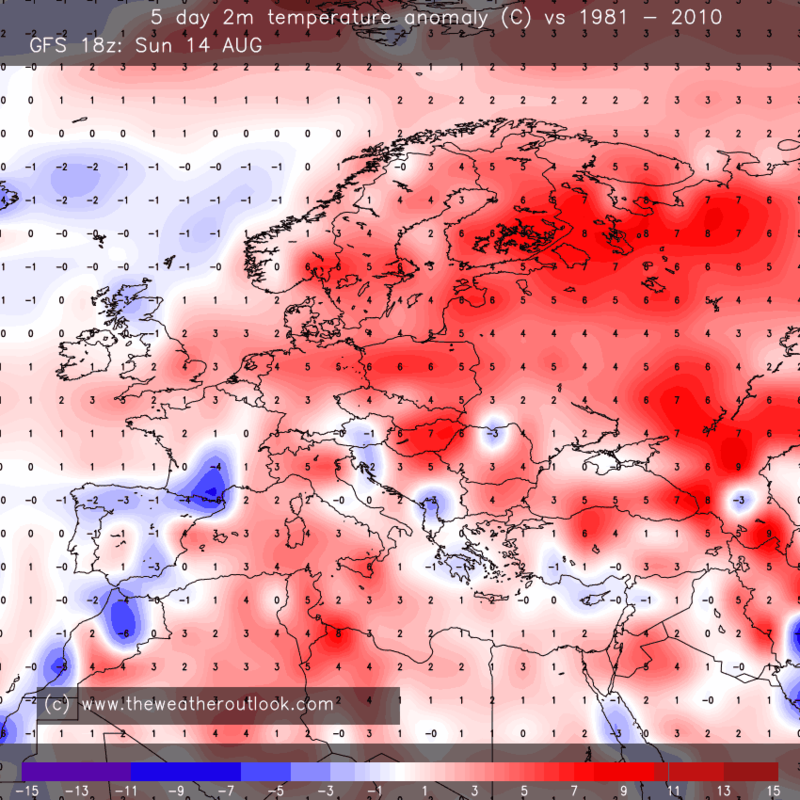 The forecasts are generated by comparing reanalysis data from 1981 - 2010 with the latest run of the Global Forecast System (GFS) model. The charts are updated 4 times each day at approximately 05:30, 12:30, 17:30 and 22:30 GMT. The lower grid resolution of the reanalysis data means local variations may not be well identified.